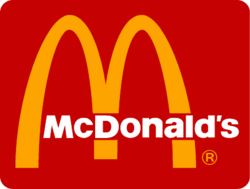 Fast-food chain, McDonalds, is one of the world’s most recognisable brands and the world's leading food service retailer, with more than 30,000 restaurants in 119 countries serving 47m customers every day. The company also operates other restaurant concepts, predominantly in the United States, under its partner brands: Boston Market, Chipotle Mexican Grill and Donatos Pizzeria. McDonalds also has an interest in UK-based Pret A Manger. McDonald's has raised its dividend each and every year since paying its first dividend in 1976. Starting in 2008, dividends are paid on a quarterly basis.